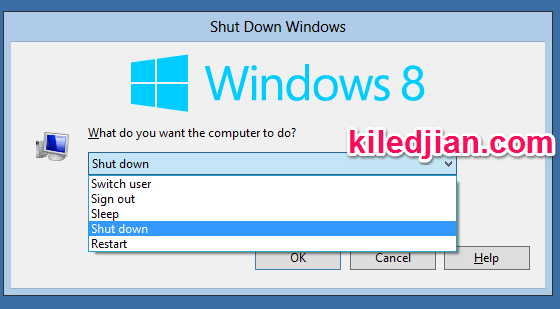 Without a Start menu, you probably guessed it but the procedure to restart or shutdown your PC is a little different. Move your mouse to the bottom right hand corner of the screen and click on the Settings charm option. Then choose Power (from the menu in the lower part of the charm) then choose the restart or shutdown option. 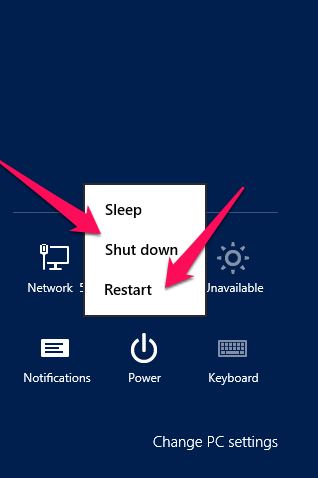 If you are on the Windows 8 desktop, you can also press ALT+F4 to get the restart/shutdown menu.